Treat someone special (and yourself!) 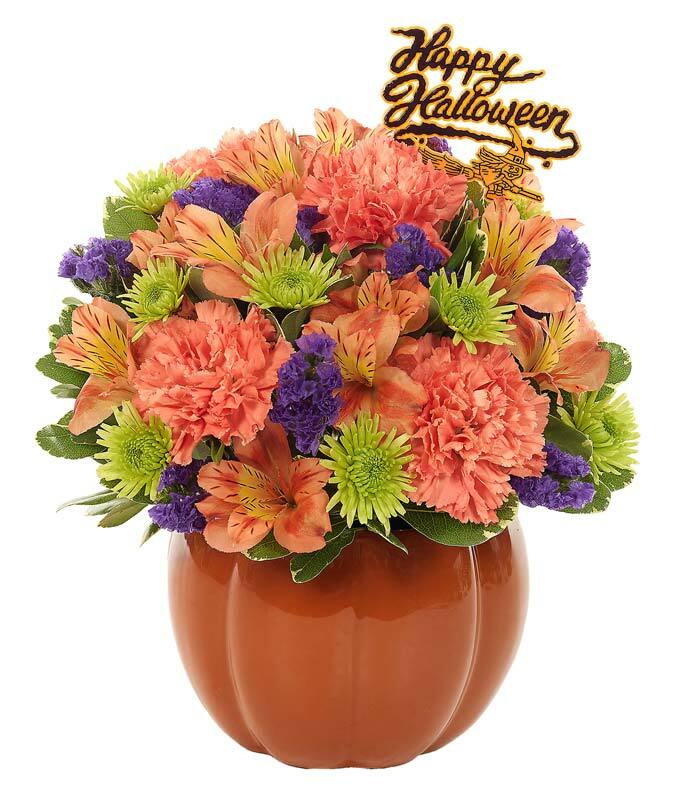 to an unforgettable Autumn bouquet that conveys everything you love about Halloween. Carnations, alstroemeria, statice and athos poms have been beautifully arranged in a pumpkin planter for all to enjoy...complete with a special Happy Halloween pick. Measures 10"H X 9"L.